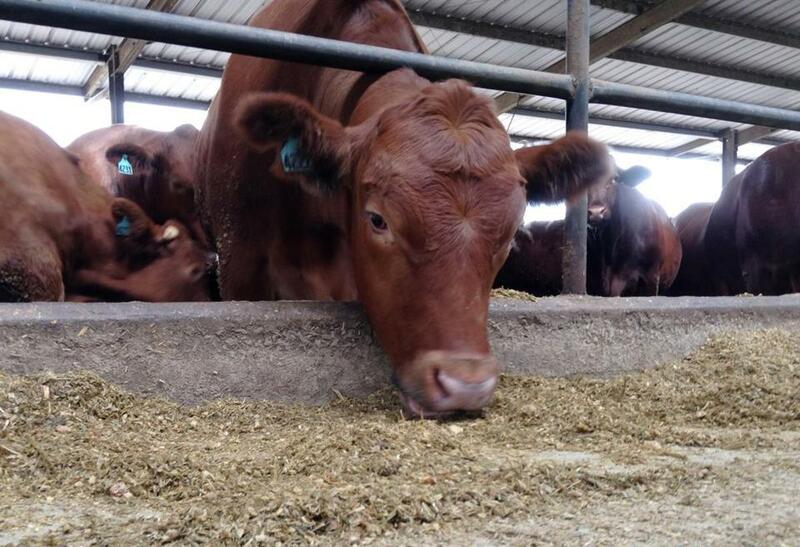 Cattle such as these in a Florida feedlot could be less in demand if a recommendation to eat less beef is adopted. WASHINGTON — A panel that advises the US Agriculture Department appears set to recommend that Americans be told not only what foods are better for their health, but also for the environment. That means that when the latest version of its dietary guidelines comes out, the government may push even harder than it has in recent years for people to choose more fruits, vegetables, nuts, whole grains, and other plant-based foods — at the expense of meat. The beef and agriculture industries are objecting, saying an environmental agenda has no place in what has always been a practical blueprint for a healthy lifestyle. A dietary pattern higher in plant-based foods and lower in animal-based foods is ‘‘more health promoting and is associated with lesser environmental impact than is the current average US diet,’’ the draft said. The study said that compared with other popular animal proteins, beef produces more heat-trapping gases per calorie, puts out more water-polluting nitrogen, takes more water for irrigation, and uses more land. There is ‘‘compatibility and overlap’’ between what’s good for health and good for the environment, the panel says. Once the recommendations are made, the Agriculture and Health and Human Services departments will craft the final dietary guidelines, expected about a year from now. Published every five years, the guidelines are the basis for USDA’s ‘‘My Plate’’ icon that replaced the well-known food pyramid in 2010 and is designed to help Americans with healthy eating. Guidelines will also be integrated into school lunch patterns and other federal eating programs. The meat industry has fought for years to ensure that the dietary guidelines do not call for eating less meat. Currently, the guidelines recommend eating lean meats instead of reducing meat altogether. In response, the National Cattlemen’s Beef Association sent out a statement by doctor and cattle producer Richard Thorpe calling the committee biased and the meat recommendation absurd. He said lean beef has a role in healthy diets. A massive year-end spending bill enacted last month noted the advisory committee’s interest in the environment and directed Agriculture Secretary Tom Vilsack ‘‘to only include nutrition and dietary information, not extraneous factors’’ in final guidelines. Congress often uses such nonbinding directions to put a department on notice that lawmakers will push back if the executive branch moves forward. ‘‘We need to make sure our diets are in alignment with our natural resources and the need to reduce climate change,’’ said Kari Hamerschlag, with the advocacy group Friends of the Earth. Michael Jacobson, from the Center for Science in the Public Interest, said the idea of broader guidelines isn’t unprecedented. They have already been shaped to address physical activity and food safety, he said. ‘‘You don’t want to recommend a diet that is going to poison the planet,’’ he said.